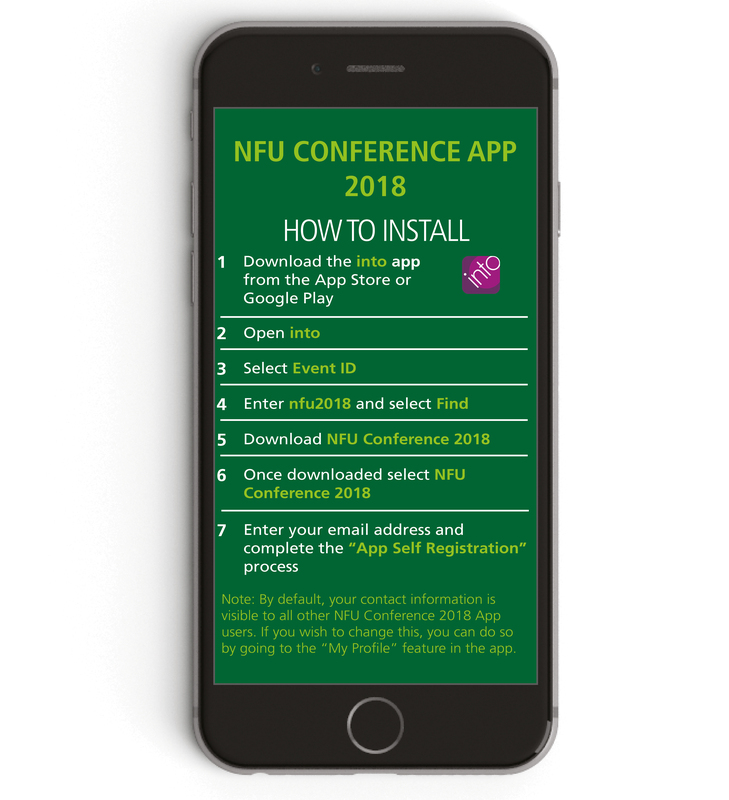 This year the official 2018 NFU Conference app, sponsored by the NFU Energy Service, is packed full of new interactive features to help you make the most of your Conference experience. As well as access to the daily programmes, speaker biographies and general information, this year, delegates can post questions live to the panel during the cross sector workshops, and, automatically sign up to receive information using the QR code reader. See the phone picture below for further information. You can also manage your own profile picture and details by choosing 'My Profile' from the side menu bar. Delegates will also be able to keep up-to-date with all that is going on during the conference through live updates. Don’t forget to use #NFU18 for any of your social posts to be part of the conversation. For those who unfortunately can’t attend the 2018 NFU Conference app is a great way to keep in touch with events as they unfold. All our sessions from Hall 1 will be available via our web streaming service both on the app and on our NFU YouTube channel. Comment: Tried searching Apple's App Store today and "nfu conference 2018" didn't locate the app for me.